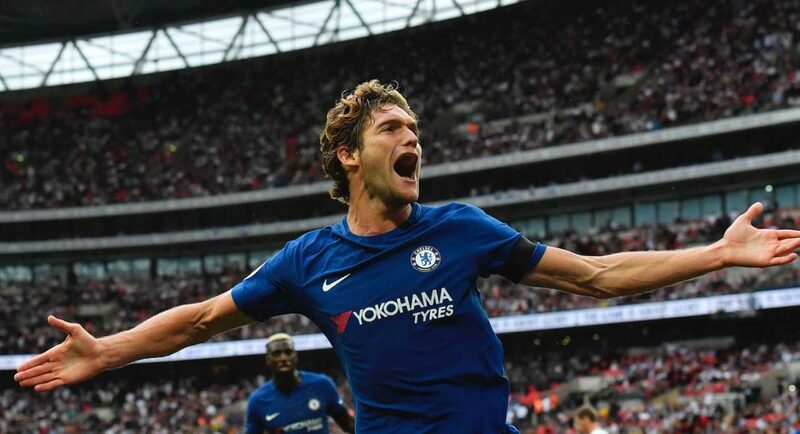 Marcos Alonso was Chelsea’s hero of the hour as the Spanish left wing-back struck two minutes from time to clinch the club’s first victory of the new Premier League season against bitter London rivals Tottenham. Before the match, there was much speculation as to who Antonio Conte would field in his starting eleven given that the Blues boss was without a number of first team regulars for the match on Sunday. 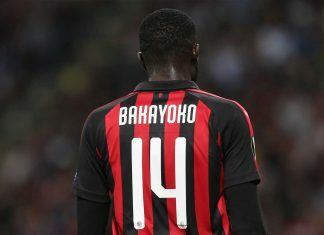 In the absence of Cesc Fabregas, the Italian coach surprised fans by handing Tiemoue Bakayoko his first start for the Blues after signing from Monaco in July despite only having just recovered from a knee injury. Meanwhile, the returning Andreas Christensen was picked alongside Cesar Azpilicueta and Antonio Rudiger at centre back. 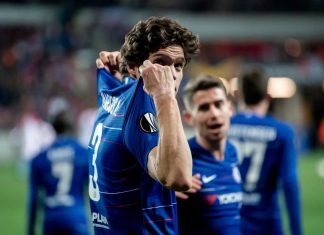 But, the Italian coach would spring yet another surprise on the Chelsea fans inside Wembley as he elected to play a 3-5-1-1 formation, pushing Willian further up the field to play just in behind new signing Alvaro Morata, who made his full Premier League debut. Heading into the match, Tottenham had won just two games in ten appearances at the new Wembley Stadium, and the North Londoners made a shaky start to the game as Alvaro Morata was left unmarked in the box within the opening five minutes. Yet, the Spaniard was unable to direct his headed attempt goal-wards. The home side responded to this early scare though Harry Kane who stung the palms of Thibaut Courtois in the Chelsea goal with a thunderous effort from outside the box in the ninth minute. In a match of great significance to both teams, Spurs enjoyed the better opening 25 minutes as the men in white passed the ball with confidence around the Chelsea half. However, it was the away side who took the lead in the 24th minute thanks to a wonderful free-kick from Marcos Alonso. Placing the ball on the floor with intent in his eyes, Alonso riffled in a driven free-kick high into the top left corner of Hugo Lloris’s net. Despite the France goalkeeper’s best efforts to keep out the wing-back’s effort, Alonso’s strike was too accurate for the Spurs stopper: 0-1 Chelsea. With Bakayoko providing some much needed steel in the Chelsea midfield, the Tottenham attackers were kept quiet for most of the first half, resorting to long range shots. Saying this, Harry Kane was unlucky not to put the visitors level as the England international hit the post after being teed up by England colleague Dele Alli. Both teams made a slow start to the second half with neither side creating an opportunity to try out the opposition’s defence. In the 68th minute, Tottenham manager Mauricio Pochettino brought on tricky winger Son Heung-Min in the hope of provoking a reaction from his lackluster Tottenham side. However, it was Chelsea who began to look more dangerous, with Willian hitting the post from 25 yards out. 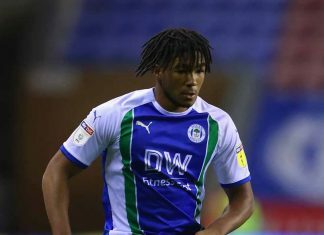 With just under 15 minutes left to play, Antonio Conte made two changes as Pedro and Michy Batshuayi replaced the tiring Willian and Alvaro Morata. Yet, it was the worst possible entrance for Chelsea’s young Belgian striker as he poked the ball into his own net eight minutes from time, following a wicked Christian Eriksen delivery: 1-1. But it was Conte’s other substitute, Pedro, who helped to create Chelsea’s winning goal. Intercepting the ball in the middle of the Spurs half, David Luiz fed Pedro on the left wing who, in turn, looked up to find Marcos Alonso making a diagonal run into the Spurs box. Playing the ball into the wing-back’s path, Alonso took the ball in his stride and drilled his shot under Hugo Lloris – who should have done much better – to secure Chelsea’s first win of the new Premier League season. 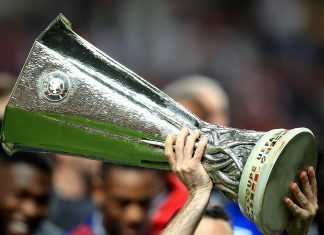 Chelsea player ratings: Courtois 6, Azpilicueta 6, Christensen 6, Rudiger 6, Moses 5, Bakayoko 7, Luiz 6, Kante 7, Alonso 8, Willian 6, Morata 6. 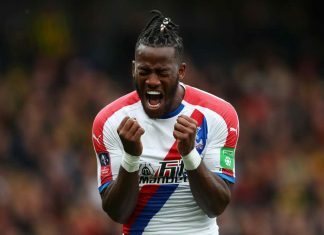 Subs Pedro 6, Batshuayi 5. Tottenham player ratings: Lloris 5, Dier, Alderweireld 6, Vertonghen 6, Tripier 6, Wanyama 6, Dembele 7, Davies 7, Alli 6, Eriksen 8, Kane 7. Subs Song Heung-Min 6, Sissoko 5, Janssen 5.